ORTOVOX protects. 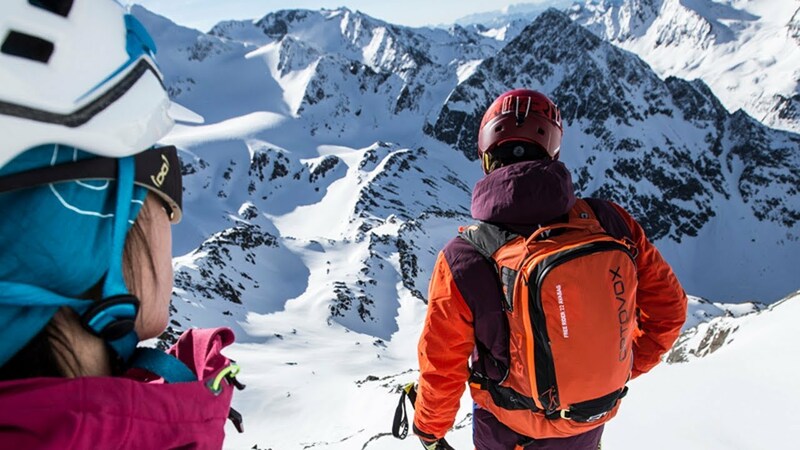 This guiding principle was also the central focus during the development of our FREE RIDER: The downhill backpack for freeriders has an SPS Flex BACK PROTECTOR, which combines the back system and protector into a FLEXIBLE UNIT. Built from EIGHT PADS that remain comfortably flexible even in the cold, the TÜV-certified protector adapts to the body and absorbs impact. We use SAS-TEC protective foam. After outward applications of force, this VISCOELASTIC foam quickly returns to its original shape. In contrast to other cushioning materials, it is can also WITHSTAND MULTIPLE IMPACTS (impacts do not destroy the protectors) and is even responsive to small applications of force. Cushioning occurs in a near-linear fashion, which keeps stress on the human body low.